Crystal reached out to me toward the very end of her pregnancy, having found herself suddenly in need of a birth photographer. I agreed to it and we got all the papers signed and payments arranged, then we set up a date to have early morning tea together so that we wouldn't be strangers in the birthing room. However, our tea date (which was actually scheduled on her EDD because she was so sure she wouldn't give birth that day) was not to be, because she spontaneously went into labor the night before. Instead of having tea, she had a baby! Crystal and her husband Steve traveled a long road to get to this little girl. She is so valued and so loved. 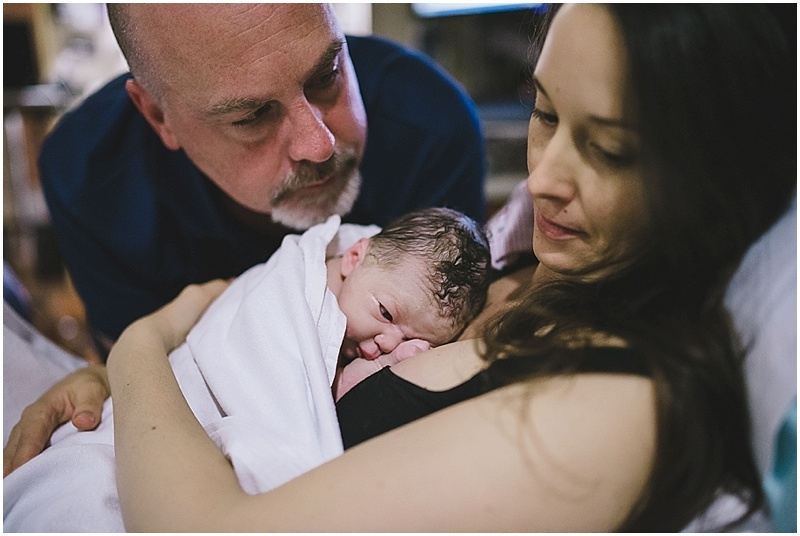 They named her after Joseph Campbell for his wisdom that has meant a lot to their own worldview, and she shares a middle name with her much older sister, which connects them in an enduring way. 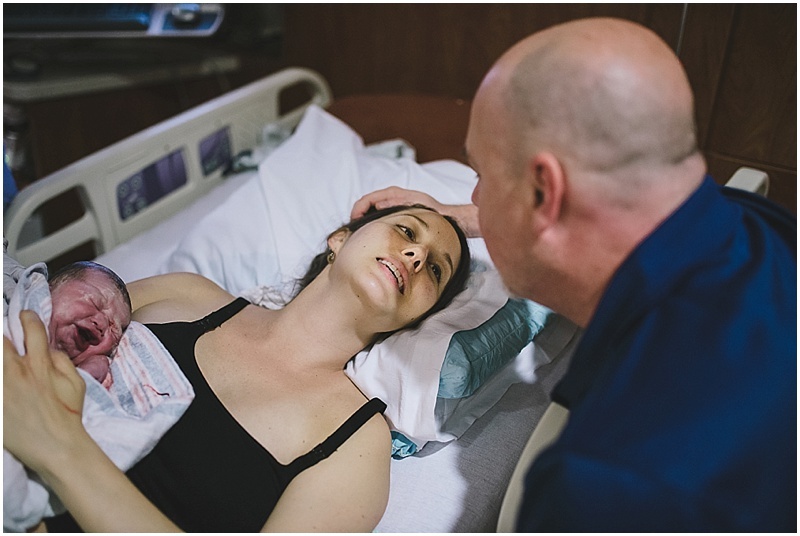 This thoughtfulness that is so evident in all of Crystal and Steve's choices extended to their preparation for birth. Crystal shared, "I had my dream birth. I credit that to an amazing team, tremendous preparation of mind-body techniques, and luck." A yoga and meditation practitioner, I have to say that I have never seen a woman so centered, present, and in command of herself during labor. 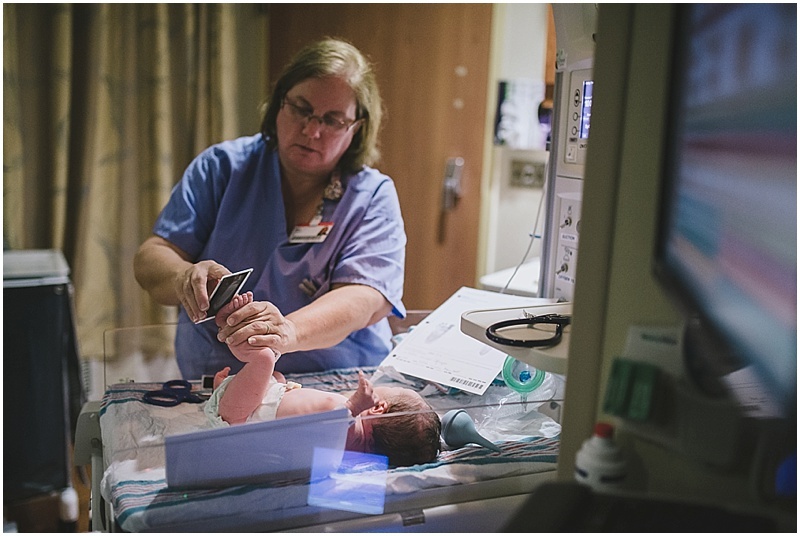 Even at the most intense parts of labor she was checking in with her birth team to make sure we were all doing ok. It was astonishing to me, her doula, and her midwife. We were all in awe! Crystal birthed her girl with such power and peace, and it was awesome to see. Now you get to see a little glimpse of it, too. 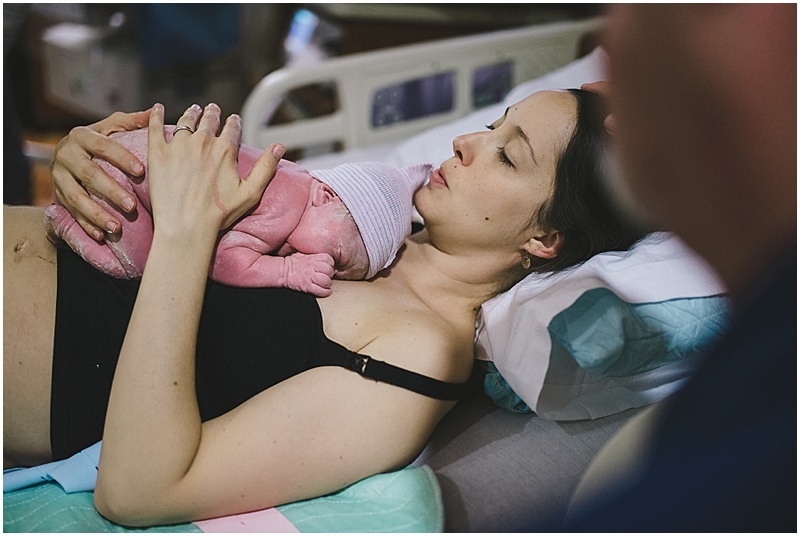 Crystal shares with me the hope that telling her story and letting others see this portrayal of a mindful, natural birth -- even in hospital -- will encourage women to know that this IS possible. As Crystal said, "I switched to Advanced (midwifery/OB group) at 35 weeks because my care just didn't feel right. I didn't feel empowered or acknowledged by my provider. I would promote for women to seek the care they know they deserve and listen to their intuition."